Online (via the link at the top of this page): You can view your current repeat medication and order the items you require. BEFORE you use this system you need to visit the practice to be registered for a username and password. Before giving you these details we will ask to see photographic proof of identity such as driving licence/passport/bus pass. By Post - Send your completed request form to us. If you include a stamped addressed envelope we will send it back to you. In Person - Drop your completed request from into reception. Please note we cannot take prescription requests over the telephone. Take the prescription to your chemist to have it dispensed. We do not dispense drugs at the surgery. However, most local pharmacists will collect and/or deliver your prescriptions for you but you have to arrange this yourself. We can take no responsibility for any arrangement that you may make with another person to deliver/collect your prescriptions. Patients on repeat medication will be asked to see a doctor, nurse practitioner or practice nurse at least once a year to review these regular medications and notification should appear on your repeat slip. Failure to attend for review could result in the GP stopping or reducing the medication currently being prescribed. Both the NHS and health organisations across the world are trying to reduce the use of antibiotics, especially for conditions that are not serious. This is to try to combat the problem of antibiotic resistance, which is when a strain of bacteria no longer responds to treatment with one or more types of antibiotics. Antibiotic resistance can occur in several ways. Strains of bacteria can change (mutate) and, over time, become resistant to a specific antibiotic. The chance of this increases if a person does not finish the course of antibiotics they have been prescribed, as some bacteria may be left to develop resistance. Antibiotics can also destroy many of the harmless strains of bacteria that live in and on the body. This allows resistant bacteria to multiply quickly and replace them. 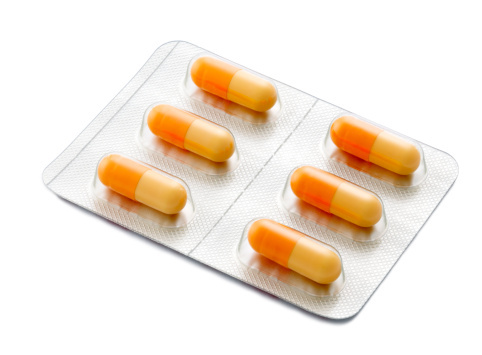 The overuse of antibiotics in recent years has played a major part in antibiotic resistance. This includes using antibiotics to treat minor conditions that would have got better anyway. These types of infections can be serious and challenging to treat, and are becoming an increasing cause of disability and death across the world. The World Health Organization (WHO) estimates there are around 170,000 deaths related to MDR-TB each year. The biggest worry is new strains of bacteria may emerge that cannot be effectively treated by any existing antibiotics. Carbapenemase-producing Enterobacteriaceae are one such emerging group of bacteria, with several types. These bacteria are widespread in some parts of the world, including parts of Europe, and are beginning to be seen in the UK.